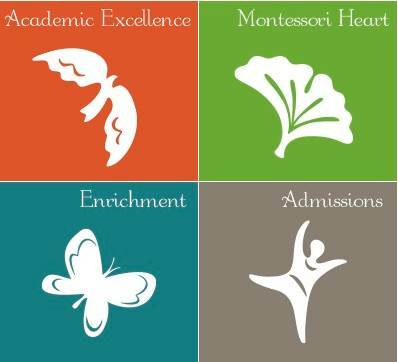 For preprimary students who have not attended TNSM before, we are offering 2 days of orientation for them to grow more familiar with the routines and rhythms of their new Montessori classrooms. Students are required to attend both days. Following their orientation, their next day of school is Tuesday, August 22 when school begins. Teachers will make a brief presentation to all of the (9-12) parents, letting you know about procedures in the classroom, ways to contact them, and their educational plans for the year. There will also be time for questions and answers. Childcare is provided for children of New School age. Teachers will make a brief presentation to all of the (6-9) parents, letting you know about procedures in the classroom, ways to contact them, and their educational plans for the year. There will also be time for questions and answers. Childcare is provided for children of New School age. Meeting for prospective beginning strings students and parents will begin at 6:00 p.m. on Tues., Sept. 5 in the Growing Room. Students in grades 2-6 are eligible. Melissa Robinson, TNSM’s music teacher and orchestra leader will discuss the strings program and answer any questions the parents may have. 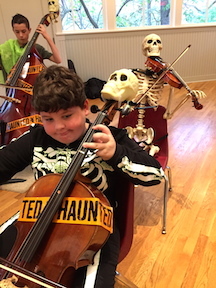 Students may choose violin, viola, cello, or bass. We are thrilled to have Melissa Robinson, former NKU director of strings, leading our orchestra program. Paul Bartel from the Baroque Violin Shop will be present to handle instrument rental. Parents will have the opportunity to rent instrument and students will be able to take instrument home with them that evening. Students should attend the meeting with their parents so that they can be measured for the correctly-sized instrument. Call or email Melissa Robinson if you have questions.